The indie dungeon crawler managed to sell over 75,000 copies in two weeks. Enter the Gungeon has been available on the Nintendo Switch eShop for a few weeks, and in that time period, the title’s sales have exceeded the initial expectations of developer Dodge Roll Games. For those unfamiliar with Enter the Gungeon, it’s a brutal dungeon crawler that spans multiple floors all filled with a wide variety of enemies and procedurally generated treasure. Despite first being released back in 2016, Dodge Roll continues to support Enter the Gungeon with new content updates including the massive Supply Drop update back in January of last year. 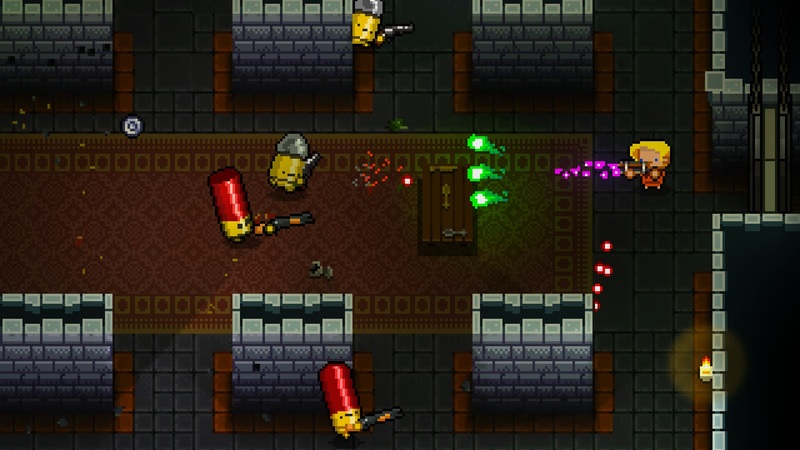 Essentially, if you’re a fan of brutal indies like Cuphead, you’ll definitely find a lot to love in Enter the Gungeon. Meanwhile, Enter the Gungeon isn’t the first indie to bode well on the Nintendo Switch, as other titles including Wonder Boy: The Dragon’s Trap and Death Squared have sold more on the Switch than all other platforms combined. We want to congratulate developer Dodge Roll Games and publisher Devolver Digital on the sales performance of Enter the Gungeon on Nintendo Switch. If you’ve yet to pick the game up, you can click here to snag a digital copy of Enter the Gungeon on Nintendo Switch for a cool $14.99.